As EU leaders meet in Brussels next week to discuss the future of the EU budget, the European Music Office and IMPALA (the Independent Music Companies Association) team up to advocate for a stronger EU support for cultural and creative industries. As organisations representing the interests of the music sector, EMO (the European Music Office) and IMPALA (the Independent Music Companies Association) call on EU member-states to support a strong budget for Creative Europe, the 2014-2020 programme for the cultural and creative sectors. As highlighted by the European Commission in its recent Communication “Promoting cultural and creative sectors for growth and jobs in the EU”, the EU’s cultural and creative sectors account for 4,5% of EU GDP and up to 8,5 million jobs. On the other hand, the current financial envelope allocated to the EU ‘Culture Programme’ represents only 0.04% of the Union’s budget. In their recently published programme, the Irish, Lithuanian and Greek trio of Presidencies announced their aim to “strengthen the role of culture during this time of recovery from the crisis” and to “demonstrate culture’s contribution to job creation and growth, mainly through the cultural and creative industries (…)”. We believe it is crucial to support a strong budget for Creative Europe, as it represents a great opportunity to unlock the potential of Europe’s cultural and creative industries, an objective the EU has been pursuing for some time now. 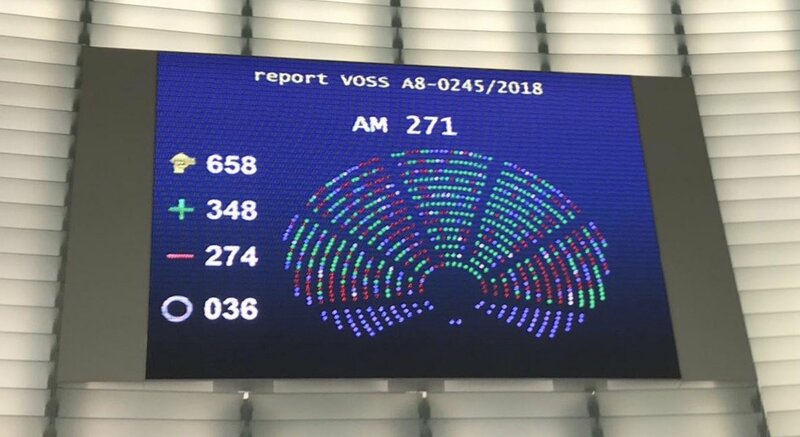 This is all the more important that budgets for culture are being cut across Europe, and that this proposal will have a truly beneficial impact on Europe in terms of jobs, growth, cultural diversity, mobility of artists and projects, and international presence. The Programme will encourage the transition to new, more viable business models. It will also support international tours and festivals, which have a massive economic impact on other industries such as tourism, maintenance and security, and many more. In fact the benefits of this programme will be felt throughout the entire European economy, as cultural and creative industries produce well-documented spillover effects in other sectors. We particularly welcome the introduction of the Cultural and Creative Sectors Facility (cross-sectoral strand of the Creative Europe programme). This instrument will provide solid financial guarantees to banks lending to cultural and creative actors (from individual entrepreneurs to SMEs through non-profit actors) and improve financial intermediaries' technical capacity to evaluate the risks associated with investing in the cultural and creative sectors. This facility will help fill the existing funding gap (between €2,8 and €4,8 billion according to the European Commission)”. It is estimated by the European Commission that a fund of €200 million could generate up to €1 billion worth of loans. In order for this instrument to be efficient, a certain scale is needed, which is why the budget currently allocated to this instrument should not be touched. The Cultural and Creative Sector Facility is expected to trigger much-needed investment in these sectors, which represent one of Europe’s strongest assets. Cultural and creative operators, especially in the music sector, often struggle to get loans from banks which view the sector as risky. We see this proposal as a chance to address an ongoing market failure. Also, the use of EU money for this scheme will add value, as it has an important leverage effect and will become auto-financing as monies are repaid, hence representing an efficient use of public funds in times of austerity. For all these reasons, we call you to back the European Commission’s proposal of a 1.8 billion euro budget for the Creative Europe Programme. EMO is an international organisation promoting musical diversity and representing the interests of European music professionals. EMO brings together 16 international and national professional organisations, associations and federations from the music sector within Europe, representing all music genres and sectors. Moreover, EMO develops music cooperation projects responding to EU calls for proposals with the aim of promoting the mobility of artists and the circulation of works, such as the European Talent Exchange Programme (ETEP) or the European Border Breakers Awards (EBBA), both co-funded by the EU Culture Programme. IMPALA represents over 4.000 music companies and national associations across Europe, representing 99% of Europe’s music actors which are micro, small and medium sized companies. Known as the “independents”, they are world leaders in terms of innovation and discovering new music and artists - they produce more than 80% of all new releases, thus contributing strongly to cultural diversity.